Many of the students at Hopkins are multi-talented in a variety of sports and arts. Still, it is rare to have someone play as many as three instruments and excel at all of them. Bennett Daponte-Smith ’16, a senior at Hopkins, started playing the piano at the age of two and a half. “I do not remember not playing piano ever,” stated Daponte-Smith. Over the years, his passion for music has only continued to grow. He started playing the trumpet at the age of four, and then the guitar at Hopkins. “Whatever he (Daponte-Smith) picks up, he does extremely well,” commented Mr. Robert Smith, Director of Instrumental Music at Hopkins. “Everything seems very natural with him, and he has a great range and perfect pitch,” Smith continued. Hopkins welcomed Daponte-Smith in 2010 as a seventh grader, right in time for the 350th year celebration. There was not really a transition for him, as he fit right in, playing the Timpani (a large drum shaped like a bowl) at that year’s Convocation. Smith remembers Daponte-Smith as equally impressive five years ago, always focused and consistently delivering quality performances. Over the last few years, he has enjoyed being an integral member of this rich community on The Hill. In addition to being a phenomenal musician, what sets Daponte-Smith apart is that “he always acts as a leader, by focusing on the conductor and being keenly aware of other musicians around him.” According to Smith, Daponte-Smith is a player that he could rely on to fill in and volunteer whenever there is a need. “He (Daponte-Smith) is a representation of the best kind of player,” stated Smith. Furthermore, Daponte-Smith composes music. Music has been an essential component of Daponte-Smith’s life and part of his identity. Although he says he likes a variety of music, his favorite genre is “definitely Jazz”, which one might have guessed based on his choice of instruments. 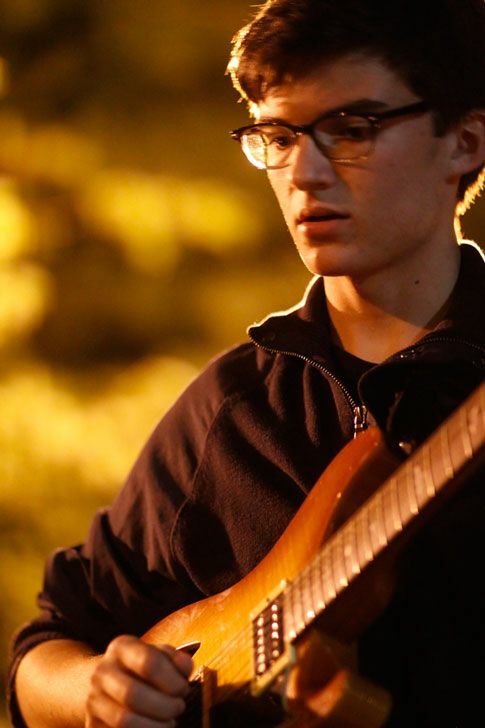 In the process of pursuing his passion, he attended the renowned, highly selective Interlochen Arts Camp based in Michigan. There, he was able to play amongst the best Jazz players and receive valuable mentoring from established musicians. The highlight of this experience was “performing as the top combo,” recalled Daponte-Smith, “and we sounded killer!” He has also been active in the local community, playing gigs around New Haven with other Hopkins musicians such as Jared Rosamilia ’16 and Owen Rahr ’18. For the time being, Daponte-Smith said that he is striving to build on his current skill sets and improve in general. 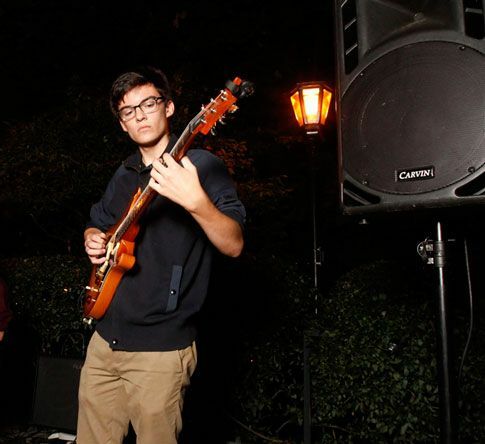 As a senior, college is not far from the horizon for him, and he aims to study music in college and continues to pursue a career path in this direction. Consistent with his aspirations, he practices every day, despite carrying a heavy academic load like any other high schooler at Hopkins. In the summertime, he practices one-and-half hours daily, if not longer. Behind the beautiful music are countless hours of practice and tremendous effort. Daponte-Smith’s advice to new, budding musicians would be to first “start out playing what you want to play.” As a musician, it is important to pursue what interests you, which probably applies to any other form of extracurricular activity. However, he also stresses the importance of a self drive to push yourself. No matter how much interest you started with and how talented you are, there is no substitute for hard work.